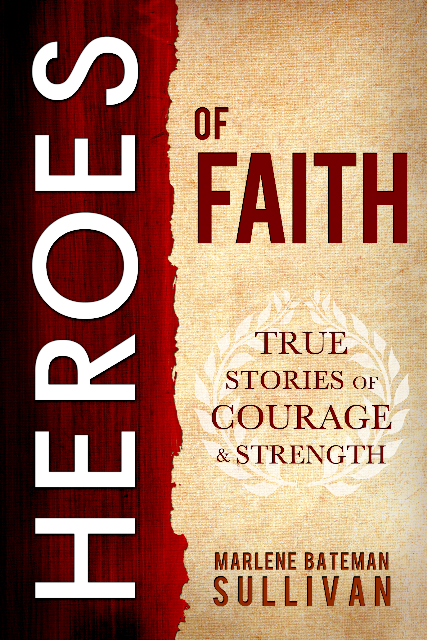 I was given a copy of Hero's of Faith: True Stories Stories of Courage and Strength to review and am part of the book tour. When are the times you learn the most in your life? The happy days when everything seems to go just right? Or is it after those trying times, those times were you had to give a little more, try a little harder, even make some sacrifices, are those the times you really learn and grow. Heroes of Faith, True Stories of Faith and Courage, by Marlene Bateman Sullivan is a collection of twenty-four riveting stories about members of the Church of Jesus Christ of Latter Day Saints (Mormons) who rose above difficulties and impossible odds to emerge triumphant. You’ll read about stalwart men and women who stood firm and valiant in the their faith and the gospel in spite of dangerous mobs, flying bullets, physical handicaps, extreme hardships, and dictatorial regimes. women could not even vote, to a couple who faced imprisonment by Hitler's armies because of their willingness to stay and help share the gospel, to a family in the Samoan Islands who's home was burnt down because of their faith. The stories are all quick accounts of their lives and events which make for a quick yet fascinating read. It really made me stop and ponder what I would really be willing to sacrifice for my beliefs and if I would be able to do it with true faith and without resentment or fear. I think of all of us yearn for something in our lives that we are so passionate about that we are willing to sacrifice anything for. Something so worthwhile, so good that we will not give up or back down. For some of us, it may be our children or our families; for the individuals who's stories were told in this book it was their faith and their religion. If you enjoy true stories of faith and sacrifice and also stories that will leave you feeling inspired and with hope, then this is a great book for you. Or you can enter to win your own copy on my blog here today! The giveaway will be opened for two weeks, with the winner announced on September 3rd. Good luck! a Rafflecopter giveaway Disclaimer: I was given a copy of the book to review and the publisher will provide a copy for the winner of the giveaway. All feelings and opinions are my own and truthful. It sounds like such a good book - my favorite kind!